Accepted: We’d like to get to know you! Where are you from? Where and what did you study as an undergrad? What’s your favorite hobby? Jason: I’m Jason Spears and I’m from Reading, PA (Reading railroad as in the monopoly game). My undergraduate studies were completed at Northwestern University (Evanston, IL) and it was actually the only college I applied to coming out of high school. While at Northwestern I studied Political Science while completing a majority of my premed science courses at Harvard Summer School. Jason: I’m about to enter my 3rd year at Touro College of Osteopathic Medicine in Harlem, New York. Jason: I actually took time off between college and med school, and it wasn’t by choice originally. When I initially applied, AMCAS computers made an error with my application and they gave me zero credit hours for my Harvard coursework when transferring the credits, so to all the medical schools it looked like I didn’t complete the basic requirements. This is a complete fluke that is not likely to be repeated as it was a computer error which also involved quarter credit hours (Northwestern) and semester hours (Harvard). Thinking I needed to improve my credentials without knowing about the AMCAS error, I applied to post bac and special master programs (SMPs). Ultimately, I ended up graduating from Boston University School of Medicine’s MAMS program. Before getting into the program I also worked at several jobs– some in pharmaceutical consulting, and also at a patient satisfaction firm. So definitely, I had a journey before starting medical school– but that’s my story and I have no problems not starting out like everyone else. Although, it is interesting that many of my friends from undergrad have already graduated from medical school and a good portion are almost done with their residencies. 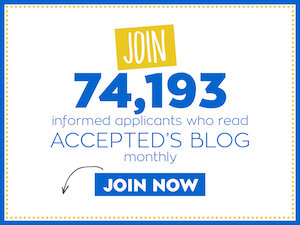 Accepted: How/why did you decide to start blogging at doctorpremed? What are your goals in developing this blog as a resource for applicants and incoming students? Jason: While an undergrad student I was the president of the premed society and made numerous contacts with admissions officers from the top medical schools throughout the country. By the time I graduated, a lot of my friends would approach me one-on-one asking for individual advice on getting into medical school. After a while, I began to realize most of my peers had the same questions. Being the efficient and pragmatic guy that I am, I thought, why not start a website detailing exactly what it takes to get into medical school? It would be accessible anytime, anywhere– allowing me to help many more premeds than I possibly could on my own. My goal has always been to be the premier premed resource and your one stop shop for all things medicine. Having been blogging for years and speaking with many students I know there are a lot of myths about what it takes to be a successful applicant to medical school, and I want to provide the honest facts that aren’t just my personal opinions, but advice that comes from admissions officers, doctors, medical students, and college professors. Additionally, many students have never been through the application process before and I attempt to outline exactly what students should be doing and when through my timely “Premed Grand Rounds” newsletter. Basically, each month there’s a key part of the application a student should be focusing on. Jason: I think the challenging aspect for me was not getting in the first time. I just remember waiting as the rejection letters piled up and holding out hope for that one school, constantly reminding myself that it only takes one, “yes!” The waiting game can be tremendously hard because once applications are submitted, everything is out of your control and all you can do is check emails and the mailbox, waiting on some form of news to arrive. I overcame this setback by learning there wasn’t anything overtly wrong with my application—rather, there was a glitch in how my application was processed. Knowing I wasn’t academically deficient really was a huge relief and allowed me to move forward with confidence in my post-bac and my next application to medical school. Additionally, one skill that will help students in the first year is utilizing spaced repetition learning to put things in longterm memory, which will make preparing for Boards much easier. Jason: Work hard, and never give up on your dreams of becoming a doctor if that’s what you really want. Also, if your heart isn’t in medicine, don’t go into the field to please family, friends, or for the income or prestige, because there are going to be many lonely and soul-searching nights where the work is more than you think is manageable– but if medicine is what you want, you’ll figure out how to get by. If you’re applying right now, be sure to get your applications in early because that makes a huge difference in improving your chances for admission because the committee has more acceptances to offer but later in the season only a few spots are left so they’re really going to scrutinize every aspect of your application down to the last detail. Remember that the MCAT is the great equalizer: it will make or break your chances for getting into medical school, and this is a test you want to take once and only once, so only take it when you are best prepared. But enjoy the process…far too often you’ll focus on the destination (medical school acceptance) without taking time to enjoy the journey. You can follow Jason’s blog and sign up for his newsletter at doctorpremed.com. Thank you Jason for sharing your story with us – we wish you the best of luck!